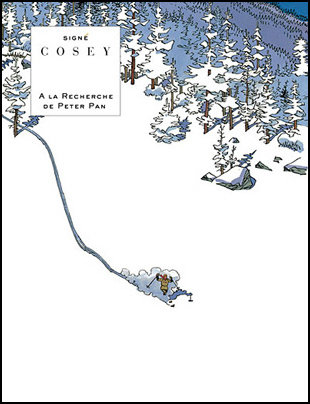 After nine Jonathan albums, Cosey makes his first one shot. 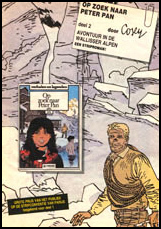 Originally planned for 60 pages, the final story has 116 pages. 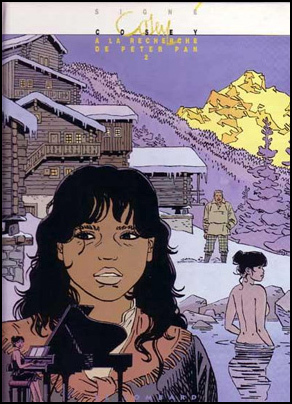 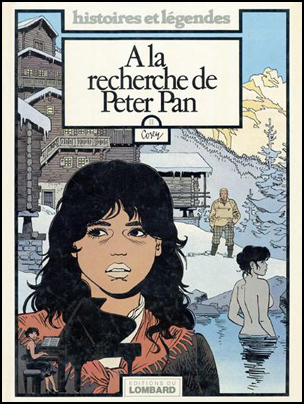 ‘A la recherche de Peter Pan’ is the only story (so far) of Cosey that is set in his own country, Switzerland. 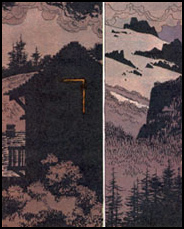 It is also the only story that plays in the past, in the 1930s. 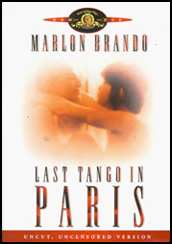 The character Evolena has borrowed her physics from the actress Maria Schneider, known for her role in Bertolucci’s movie ‘Last Tango in Paris’. 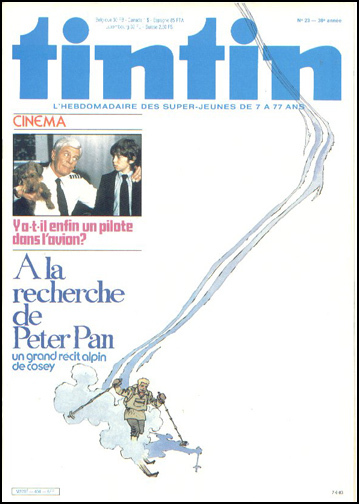 An explicit reference to the movie ‘Last tango in Paris’ is made at the end of part two of ‘A la recherche de Peter Pan’. 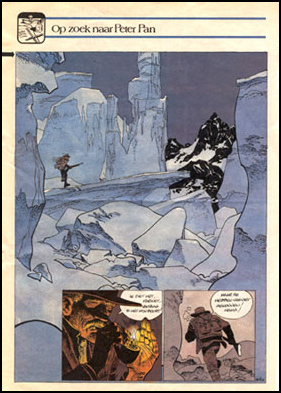 A censured scene in the journal Tintin: the images at the left are taken from the journal, the two right images appear in the album. 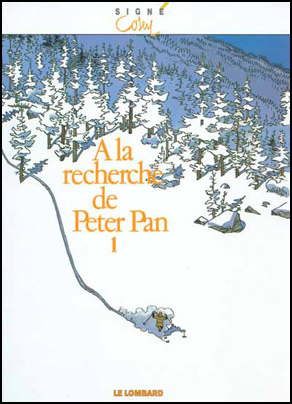 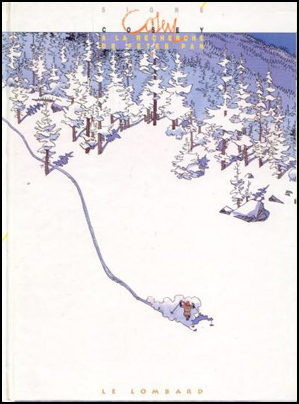 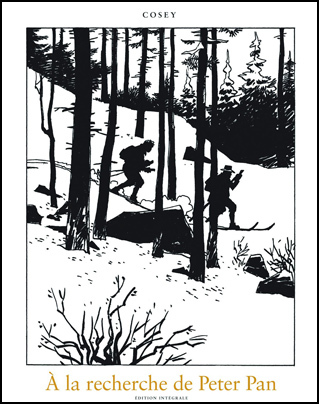 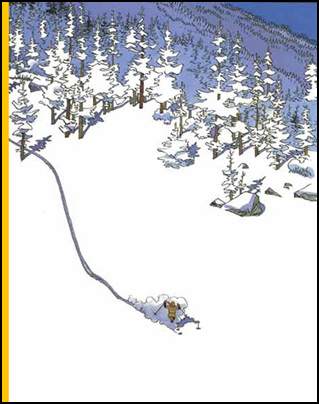 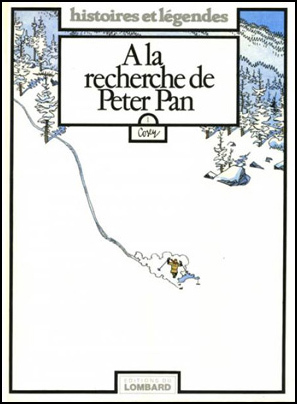 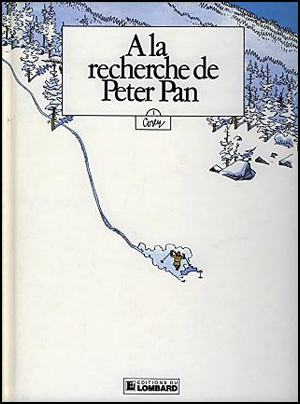 The same ‘censure’ has been made for the English/American edition of ‘A la recherche de Peter Pan’ (with the title ‘Lost in the Alps’; a black and white edition). 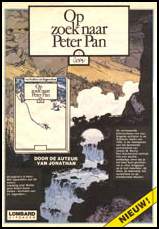 The journal Tintin published a page that is missing in the album. 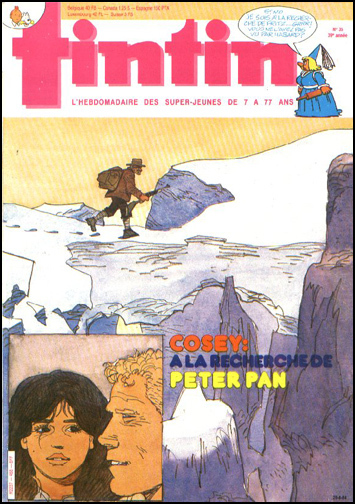 Cosey numbered the page itself as ’96Bis’, which indicates that the page was made specifically for the journal.